From touching elbows on a couple festivals, Pedro Canale is the kind of artist you’re more likely to find amongst the crowd than at backstage. His love for music has kept him rooted and aware of the subtle, yet significant discourses of digital music. Which is why despite continuing on the canvas of Latin American folk on his latest single “Coplita," Chancha Vía Circuito seems to be providing his music with even more space to reach a cosmopolitan sensibility. The song had been made public since about four years ago, but the new edit sure merits its proper release. The digital discourse in this track is spacious and focused – the percussion bubbles pop up when they need to, as does the unfolding of its rhythm. 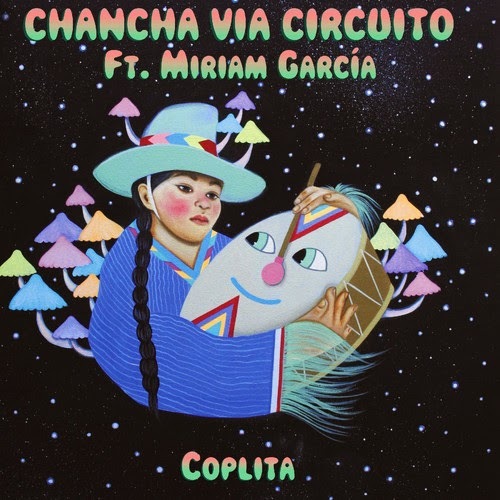 Featuring the vocals of Miriam Garcia, “Coplita” reaches new heights of dramatic and magical purpose for Chancha. The single is set to be released on a 7’’ vinyl via Wonderwheel. The label announced they will also be releasing Chancha’s forthcoming full-length, Amansara, in late September.